OXFORD, England: A spokesman for France’s bishops urged the government to ensure a new “charter of secularism” does not impede religious freedom. 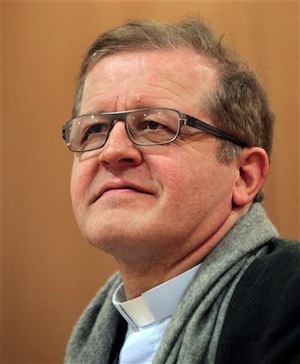 Msgr Podvin said Catholic leaders understood politicians feared people would use religion as an “identity emblem,” but added that religious faith formed part of the French values of “liberty, equality and fraternity”. “If we don’t cultivate a true knowledge of religions, young people won’t be able to respect others in a just way. We’ll have sanctified the public sphere, but risked a resurgence of communitarianism in the process,” he said.